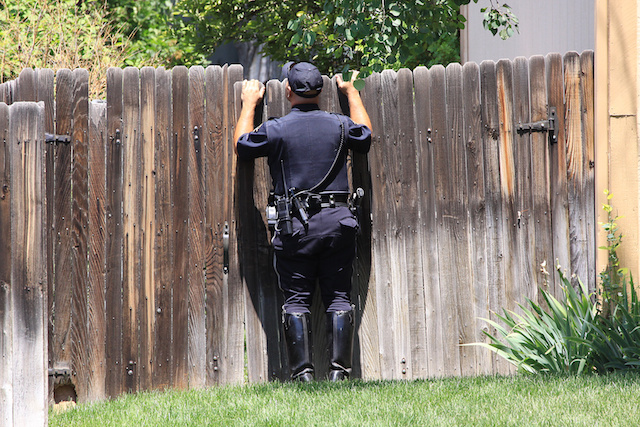 Boulder Criminal Defense Attorney | Can the police search the area around your house? Can the police search the area around your house? On Tuesday, May 29, 2018, the Supreme Court ruled, in COLLINS v. VIRGINIA, that the Fourth Amendment to the United States Constitution, which protects citizens from unreasonable searches and seizures, did not allow a police officer to enter a home’s driveway without permission or a warrant and search for a stolen vehicle. When the officer walked up the driveway, he was on “curtilage.” Curtilage is defined as the area ‘immediately surrounding and associated with the home and is considered part of the home itself for Fourth Amendment purposes. Any search is of the home or curtilage is presumptively unreasonable absent a warrant or an exception to the warrant requirement. In Collins v. Virginia, an officer suspecting a stolen car was located on the property, walked up the driveway, and lifted a tarp under which the suspected stolen car was located. Collins was convicted of receiving stolen property. The significance of this Supreme Court decision is that the evidence found during the search have been suppressed at trial, absent an exception to the warrant requirement. If the evidence had been suppressed, the jury would not have been able to hear about it and perhaps, Mr. Collins would have been acquitted. What this means for the public is that police cannot search your house or the area immediately surrounding and associated with the home without a search warrant or an exception to the warrant requirement. Criminal Defense Attorney Amy Okubo "for good people in bad situations"